What can we learn from the life of the prophet Elisha in the Bible? When surrounded by your enemies, what can you do? Imagine waking up to find yourself completely surrounded by enemiesMost often when a Christian refers to his or her “enemies” they are speaking about the sin in their flesh and the temptations and lusts that arise from there. These are enemies because they tempt us to act contrary to the will of God. These can also be spiritual powers such as the spirit of the times which oppose the... More. How would you likely react? With fear and despair? Or could you see that your enemies are dust compared to the might of our God? God’s prophet Elisha found himself in this situation after giving valuable advice to Israel’s army. The King of Syria decided to take Elisha as a prisoner and sent an army to the city where the prophet was staying. Under the cover of darkness, the Syrian warriors surrounded the city. We aren’t likely to have a physical army rise up against us like with the prophet Elisha, but we do have enemies in the form of spiritual powers that come and tempt us with impurity, worldly lusts and discouragement. “For we do not wrestle against fleshSin is anything that goes against God’s will and His laws. To commit sin is to transgress or disobey these laws. The lust to sin dwells in human nature. In other words, it is contaminated and motivated by the sinful tendencies that dwell in all people as a result of the fall into sin and disobedience in the garden of Eden. This... More and blood, but against principalities, against powers, against the rulers of the darkness of this age, against spiritual hosts of wickedness in the heavenly places.” Ephesians 6:12. When we feel that these spiritual enemies are closing in, tempting us to do what we know in our hearts is against God’s will, what do we give as a response? Do we feel overwhelmed and afraid like Elisha’s servant? For the prophet Elisha, the choice was clear, and his answer to his servant was simple and full of faith. “Do not fear, for those who are with us are more than those who are with them.” 2 Kings 6:16. This would have been a difficult answer for the servant to accept as he looked down at the wall of enemies, bristling with spears and shields. The servant certainly didn’t see anybody ready and willing to fightAlmost all talk of battles and wars when concerning a Christian life refers to the inner battle that arises when a sinful thought tempts you. God’s Spirit and the flesh are at odds. When you have decided to only do God’s will and are being led by the Spirit, a conflict between the flesh and the Spirit arises: there is... More on their side. But Elisha saw the situation in a completely different way. He spoke to the Lord on behalf of his servant, saying, “Lord, I pray, open his eyes that he may see.” 2 Kings 6:17. Suddenly, the servant was able to see with the same enlightened eyesGetting light means that the Holy Spirit gives you revelation about something. For example, when you have “enlightened eyes” you can get light over your own sin and see that you are selfish, proud, etc. It can also refer to getting more insight (revelation) in the Word of God and His work in and promises for those who follow Him.... More as Elisha. 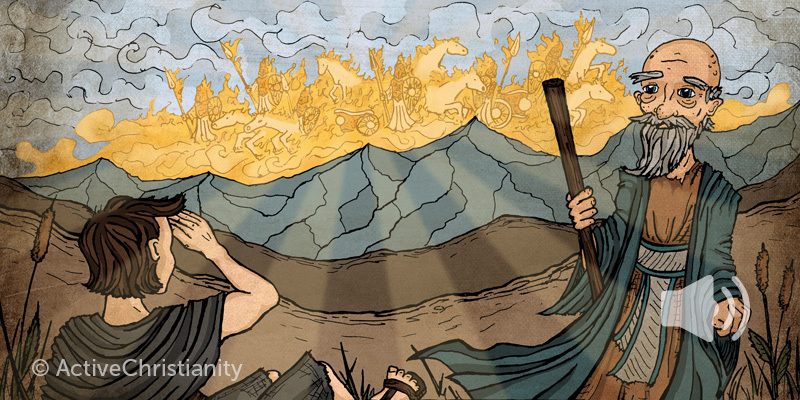 The hills around the city weren’t empty at all … a mighty host of horses and chariots of fire stood in wait, sent by the Lord to protect His prophet! The Syrians began to advance on the city, unaware that they were now vastly outnumbered. Elisha spoke to God again, asking, “Strike this people, I pray, with blindness.” Chaos broke out in the Syrian ranks as the entire army suddenly went blind. In a matter of moments, Elisha’s simple faith reduced a seemingly unstoppable foe to nothing! The army of spiritual powers that opposes us today is just as dangerous as the physical army that surrounded Elisha. We can quickly feel outnumbered, seeing only the incredible number of foes without considering that, just as the chariots and horses of fire appeared for the prophet Elisha, there are powers that are willing to fight on our side, if we have the faith to ask. Satan wants us to feel alone. He wants us to feel that we are up against insurmountable odds. He wants us to feel that we can only rely on our own strength. All these thoughts are deception. In reality, the powers of this world are nothing compared to the power we can come to through the Holy Spirit. When we are willing to live in a spirit of faith, we can recognize our enemies for what they are and, with God on our side, put them to death. Where do I put my faith? Elisha’s servant trusted only in what he could see and understand, and for this he was instantly discouraged. He recognized that they faced an obstacle too great for man to overcome. In trying to solve his human problems with his human understanding, he was blinded to the spiritual fight. He forgot that there was a living God on his side. Where do we put our faith? When we encounter a foe during our daily situations, do we react like Elisha, or do we react like his servant? When we live in this simple faith, all the powers of heaven are on our side! You may be interested to read more inspiring articles on our topic page about heroes of faith. 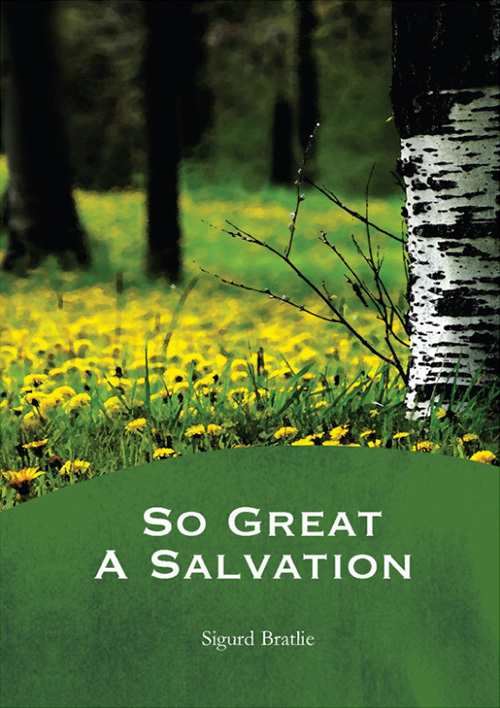 The apostle who wrote the book of Hebrews called it “a word of exhortation.” The purpose of this booklet is to amplify and expand on that exhortation, bringing faith and salvation to all those who have a heavenly calling. All those who follow the exhortation of the book of Hebrews can attain to this great salvation. When we have a spirit of faith, God can help us to overcome seemingly insurmountable odds. This is a story about true faithfulness. Read Daniel’s inspiring story about faith in God through all things. How can David’s triumph over Goliath be an example to us in modern times?